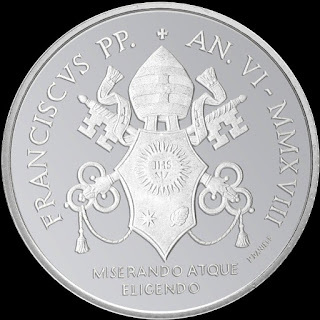 Coinciding with the issue of the commemorative 2-euro coin for the "50th Anniversary of the death of Padre Pio" on October 4, two coins of 5 and 10 euros in silver are also on sale, dedicated to the « Canonization of Pope Paul VI »and the« 40th Anniversary of the death of Pope John Paul I ». 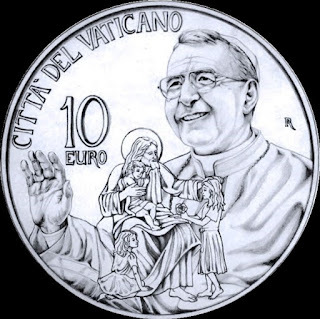 Forty years after the death of Pope John Paul I and Pope Paul VI, the Church has pronounced itself in favor of the canonization of Giovanni Battista Montini, Peter's successor from 1963 to 1978, who succeeded Albino Luciani, Bishop of Rome during Only thirty-three days. Protagonists both in a difficult time but rich in social and cultural events, they sustained the people of God with the strength and courage of their spirit, coherent and faithful to the doctrine of the Universal Church; His life and service as Vicars of Jesus Christ, have written an important page of Christian witness and a humble and sublime message. 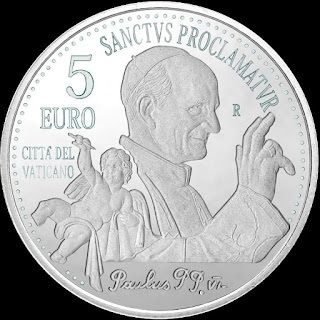 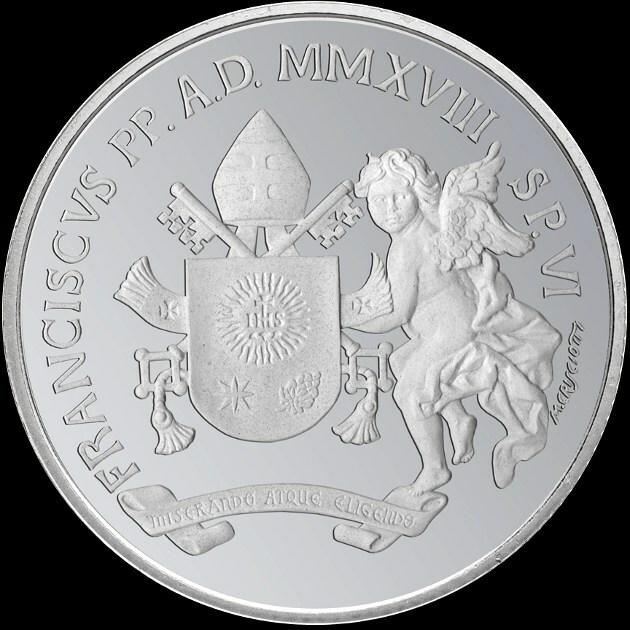 The Vatican Numismatic and Philatelic Office celebrates the fortieth anniversary of the death of John Paul I and the splendid gift of recognition of the sanctity of Pope Paul VI with the issuance of two silver coins, worth 5 and 10 euros, respectively. 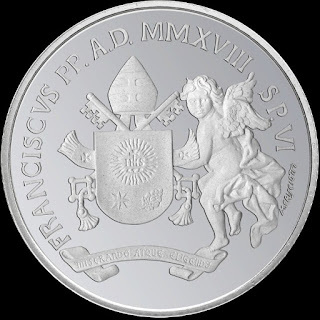 the artists Patrizio Daniele and Mariangela Crisciotti.